WWWW: Let the Games Begin! 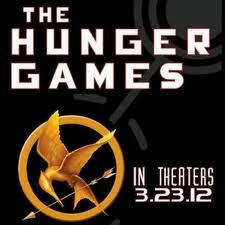 A couple of years ago my oldest daughter read a book at school called The Hunger Games. She absolutely loved it and said she had to have the rest of the trilogy. It was close to Christmas and for that particular child to crave a book is nothing short of a miracle. So, I shopped around and found Catching Fire and Mockingjay to put beneath the tree. Shortly after that she insisted I had to read these books. She was insistent and persistent but I just shrugged it off. Now that the movie mania has hit the internet and brought the story into the spotlight, I thought what the hell, and finally read the books. Oh. My. God. This was an awesome series. It’s not Lord of the Rings amazing, because the tales are so different. It’s not Stephen King mind boggling or even Lora Leigh sensual. It’s not anything like what I’ve been reading the past few years. However, it took me back to when I did read tales of this type and left me craving more. It’s a series that kept me awake at night, pondering all the possibilities of this world. It’s the type of story not so different from the one that originally inspired me to start writing. So, am I going to see the movie? Hell yes. I’ve already bought our tickets. My girls are insisting they need Mockingjay pins and various styles of t-shirts. I doubt we’ll go that far, but we will be there opening weekend like so many others. You? Next Next post: Friday WTF? : Let’s All Play Together at Once!